Expertise: Investment Purchase and Disposition; Landlord and Tenant Representation; Land Development and Brokerage, Office, Retail. Areas: The Woodlands, Pearland, Kingwood, Houston, Magnolia, Conroe, Tomball, Spring, Manvel. Bio: O.J. joined Keller Williams Realty in 2002 with a background in real estate development after having envisioned, designed, constructed, managed and finally sold a 94-acre retirement community in Manvel, Texas, south of Houston. Real estate was a natural for him after decades of success in the buy-and-sell world of financial securities, where he built a high-profile institutional bond firm and trained his sales team to achieve superior closing ratios. As an accomplished Certified Commercial Investment Member (CCIM), which attests to mastering the complexities of financial analysis, market analysis, user/decision analysis, and investment analysis as they apply to real estate. Only six percent of the estimated 125,000 commercial real estate practitioners in the United States are CCIM, one of the most coveted and respected real estate designations in the industry. In 2010, Keller Williams asked OJ to serve as Director of Keller Williams Commercial Division and represent Houston and the surrounding areas. 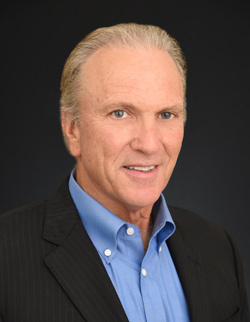 In 2009, OJ served as President of the Commercial Real Estate Association of Montgomery County.